Place the sultanas in a small bowl and cover with rum essence and soak for at least 1hr or allow to soak overnight. Melt the peanut butter over a low heat. Place all ingredients into a blender and pulse until well combined. 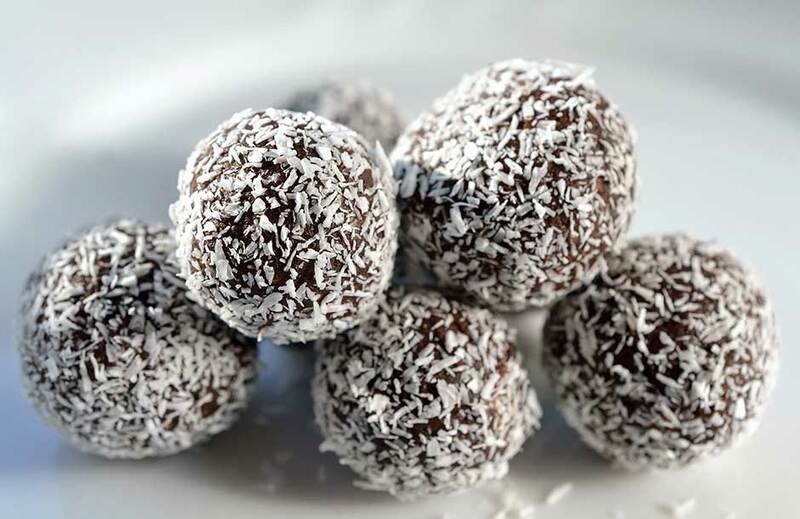 Make into small balls and then roll through cacao powder. Place onto a flat tray and refrigerate for 1-2hrs. *Keep stored in an airtight container in the fridge.